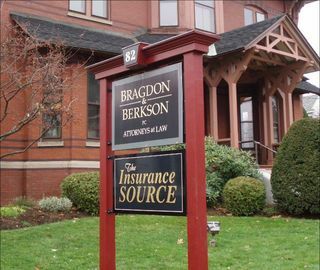 This is a job we did last spring for a prominent local law office. The brick building they occupy is absolutely stunning and we were glad to have been asked to design and build a new sign for it. Below is the result.